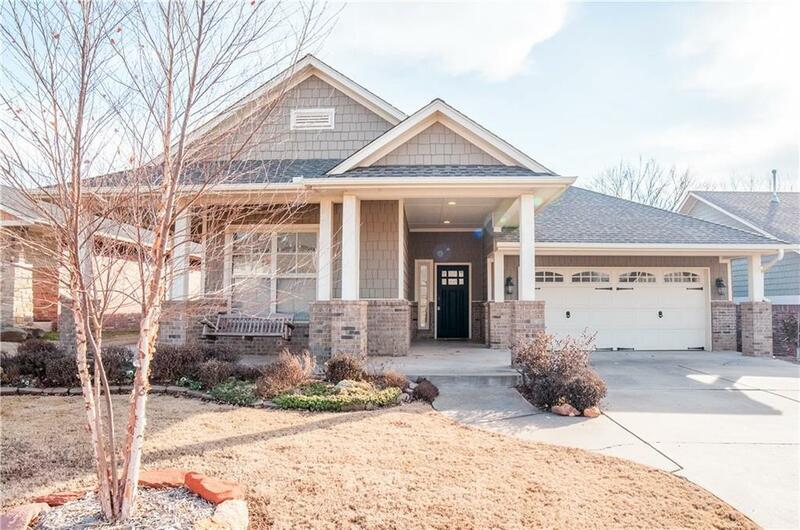 Stunning Bungalow home Alcott design w/ huge wrap around porch & amazing window views to the undeveloped land behind - full of trees and wildlife (deer, turkeys, birds). 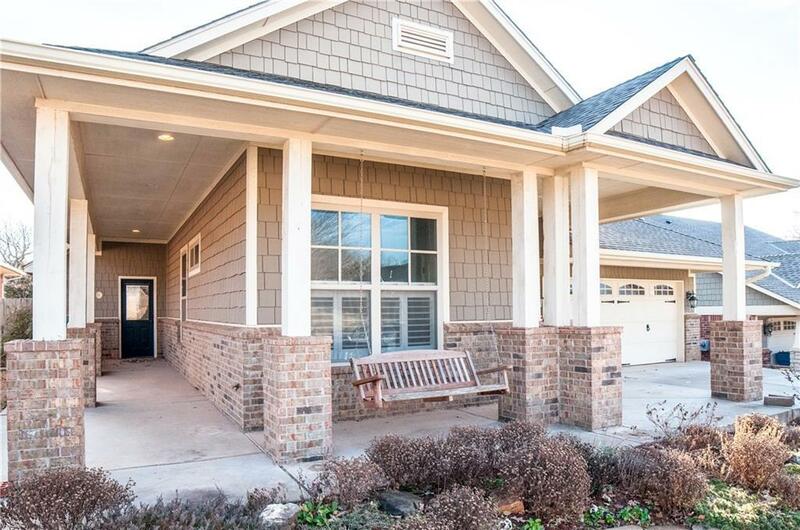 Open floorplan, large breakfast room/sunroom and huge master bathroom/closet. Kitchen features granite countertops, custom cabinetry and stainless steel appliances. Utility room conveniently located across the hall from the master bedroom. Huge walk-in closet connected to master bathroom with whirlpool tub, separate shower, custom cabinetry, granite countertops and linen closet. 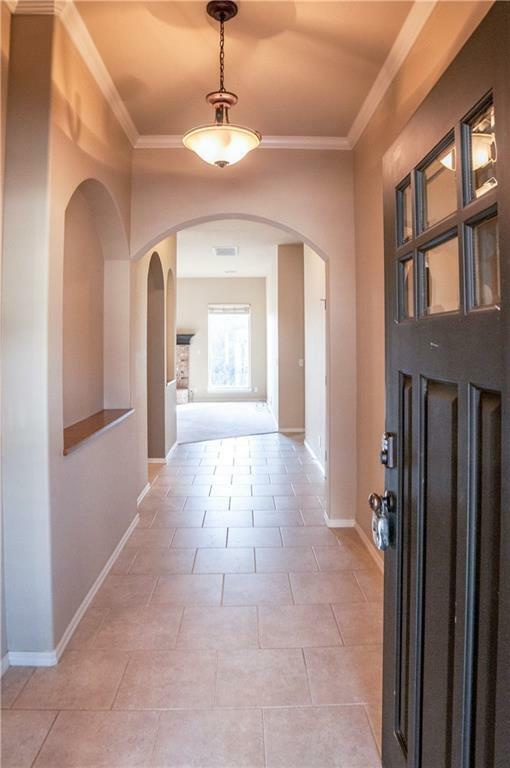 Front foyer separates the living space from front door. Art niches & great decorating spaces. 2 guest bedrooms separate from the master are at the front of the home. New carpet and living room. 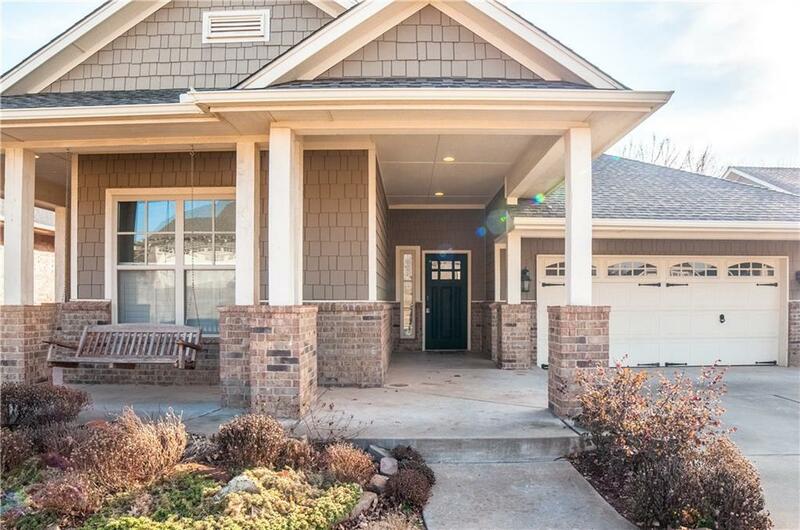 Walking distance from 2 parks, Edmond Arcadia walking trail and 2 min drive to Arcadia park and lake!